Northern NJ's Premier European Automotive shop. Specializing in All BMW's, Porsche, Audi, Lamborghini, etc. all exotics and European cars. 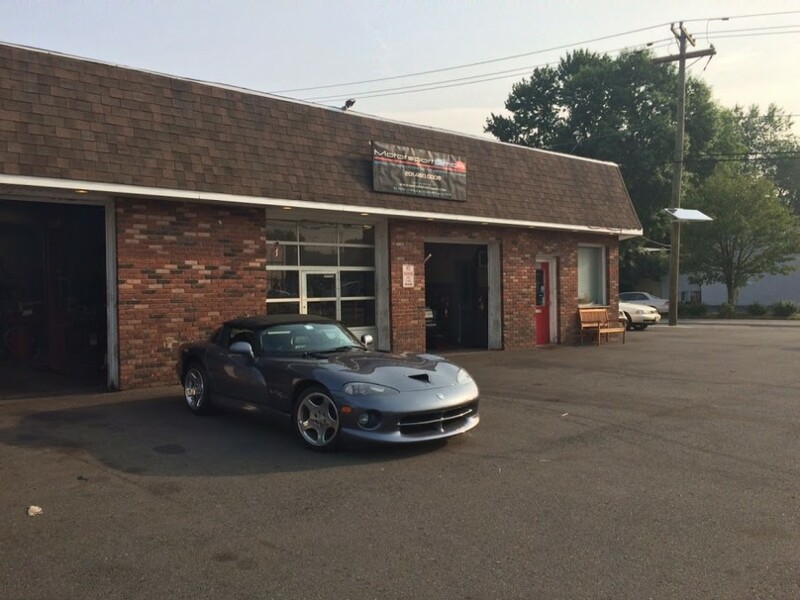 Motorsport GmbH is Northern NJ's premier European Automotive Shop, covering the entire Tri-State area. We are a European specialty automotive shop located at 101 Park Ave in Lyndhurst NJ. We are a family owned and operated business. Here at Motorsport GmbH we specialize in all European & Exotic cars (vintage to current) such as BMW, Audi, Porsche, Lamborghini, Ferrari, Mercedes, Lotus, Land Rover, Jaguar, Volkswagen, or any other vehicle you own. Our pricing is extremely reasonable. Our professional techs are dealer trained at a master level and have over 20 years combined experience. They are known for their talent. Whether you want to customize your suspension, exhaust, or add a chip, change your oil or rebuild your engine Motorsport GmbH does it all. We have extensive race and track experience with all of the above mentioned brands as well. We feature the best tire machine available, the Corghi Artiglio Master, for a truly touchless tire mounting. We use Launch scan tools, Mobil 1 synthetic oils, and OE or equivalent parts. For your convenience. We have free wi-fi, coffee bar featuring hot and cold drinks, snacks and a flat screen. Should you need to drop your car off and night when we are closed we have a drop box in our front door. Please put your keys in an envelope with your name,phone number (best to reach you, i.e. cell) make and model of your car slide into drop box AND WE WILL TAKE CARE OF THE REST...! The Promise of Great Quality and Service at an affordable price with the Commitment of always Exceeding our Customers Expectations. I take my car to John yearly for service or any problem that I may have. He is GREAT, very friendly, knowledgeable and fairly priced. Most importantly, I find him and Motorsport GmbH to be trustworthy. I went to Motorsport GmbH on 05/30/2013 to get my car serviced. They provided me with excellent customer service and showed great professionalism. John was very friendly, extremely honest, helpful, and professional. He did not want me to incur any unnecessary/additional costs for unnecessary items. I really appreciated that, because you can tell that he cared about the customer and was not trying to stick me with any unnecessary fees. Overall, I would definitely recommend their services to any Mercedes Benz owner. Thank you John. I have a 2007 MB CLS550. My vehicle was not rising with the air suspension on the front passenger side. I found MotorsportGmbH on this website. I made my way down to their shop from New York. Turns out it was the sensor and shock. The trip was definatley worth it. They were able to fix the problem quickly and for a very reasonable price. They were very honest in all aspects of my vehicle and my money. They did an excellent job, very friendly and trustworthy shop. They were able to save me over $2000.00 from what the dealer would have charged.I would without a doubt recommend this shop for anyone having any kind of trouble with their mercedes. I cant thank them enough. They are my new mechanics for my CLS550.